We are committed to making sure that it is the victims and not just the offenders that are the focus of any conversation about teen violence. We invite you to read the Memorials page statement that speaks to our feelings about those who murdered our loved ones. 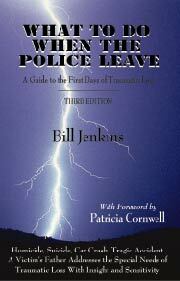 The reason NOVJL was born as an organization was because of a nationwide campaign that was often publishing misinformation about the offenders. Juvenile advocates that we have spoken to around the nation have reported to us that their research focused on interviewing the offenders. Their publications feature the offenders’ versions of the crimes. They were publishing photos of the offenders as very young children, implying that they were 8 or 9 years old when they were sentenced to life. They were publishing glossy “reports” that bemoaned the killers’ inability to live a normal life after their murdering of our loved ones. The teen killers were not able to ever get married, to attend college, to have children, to attend their proms, to visit their families and friends. 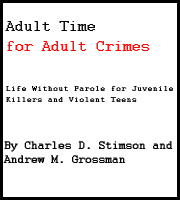 Advocates for the teen killers have been filing, in some instances, retroactive legislation without victim notification that would have required victims families to go through parole hearings for the rest of their lives, and those of their children, depriving them of all legal finality in their cases and quite literally torturing them with re-traumatizing interactions with the offender for the rest of their lives. Victims view this as merely transfering the life sentence from the offender to the victims families. In order to understand the facts regarding teen killers, see our Myths and Facts page. And information about some offenders, only in association with their having killed victims we name, is found at the the Memorial pages and the Cases section. We can understand the natural tendency to focus on the living people behind bars evokes more of an urgent feeling of sympathy because they are there in front of them. We know that it is much harder, and takes a serious commitment to see the victims that are not there – because they have been murdered. The PR campaign employed by some advocates against JLWOP is, however, causing pain to already traumatized victims families. We believe a more victim sensitive message and approach will not only benefit the public policy discussion, it will also help to ease the adversarial relationship between well-meaning advocates for criminal justice reform and crime victims. These offenders were not “children” – they were teenagers, adolescents, juveniles, and more than half were young adults of 17. Yes, they were younger, but not so young that the laws that exist everywhere to keep children out of the adult system kicked in. And culpability for a crime results from a combination of factors. Many teens who commit murder or other violent crimes do not get tried or sentenced as adults because it is not appropriate in their cases. Every jurisdiction recognizes that there are some age offenders that are always tried as an adult. That age varies, 16, 17, 18 – but all have a minimum age after which the offender is always tried as an adult. 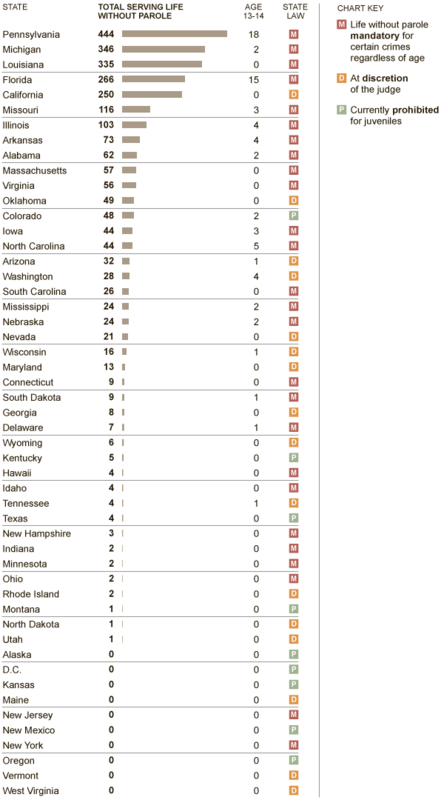 And most every jurisdiction sets limits under which an offender is always tried as a child – 12, 13, 14, 15, 16 – that line varies state by state, nation by nation. But this formula is universal – some ages always tried as a child, some ages always tried as an adult, and those years in the middle – ages in the approximately 14-17 range where they are not children and not always considered adult – every jurisdiction in the world recognizes that whether they move up to adult court or down to juvenile court DEPENDS on who they are and what they do. Fortunately, the general public is too smart to ignore the absolutely horrific crimes that put these young killers in prison in the first place. And fortunately, most people recognize, as we have unfortunately had to, that there are some people, even young ones, who are already so dangerous and violent that they have lost the right to walk among us. We know it is sad that teenagers will sometimes be capable of such horrific violence. We know the tragedy of ALL of this better than anyone else. We are heartbroken ourselves. There are no words adequate to this that we can speak. Frankly, its a challenge just to muster up what we need in order to put up this website. It all pretty much defies words, and it is overwhelmingly tragic all the way around. We ourselves will never be the same. Never. But we no longer have the luxury of naivete. We know that there are some very dangerous people in this world, and that they come in all shapes, sizes, ages, races, genders, cultures, creeds, and locations. It just seems to be part of the human condition that a very few people are “defective” (for want of a better word) in ways that make them too dangerous to be among the rest of us. With a world population of just under 7 Billion, to have only a few this dangerous is perhaps even predictable. But it is no less incumbent upon us to keep ourselves safe, or to punish intolerably evil behavior. Few people disagree with this, which is why we have the laws and sentences we do have, worldwide, to deal with violent offenders. Advocates for the offenders should not ignore the full picture of the crimes of these offenders. The only way our nation can have a geniune public policy discussion about JLWOP is for advocates to fully acknowledge the facts of these horrific crimes, the culpability of the offenders, and the impact of the crimes on those left behind. We respect anyone committed to human rights. Many of us at NOVJL are human rights advocates as well. And the most basic human right is the right to live. To not be killed by another person. 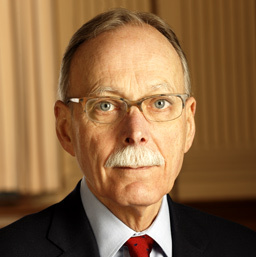 It is important to remember in these discussions that, for the most part, these killers sentenced to JLWOP are not just for “routine” killings – all of these cases had extremely serious degrees of what the law calls “aggravation” in order to achieve a sentence that serious, and in order to be legally tried as adults. While we absolutely recognize the many and systemic flaws in the criminal justice system, especially as we are often victims of them ourselves, there is a genuine debate in general about prison sentences. The social question of broad generally far more harsh prison sentences resulting from the “tough on crime” mood of the nation for some decades, especially for non-violent crimes, is a real one. We know that the US Prison population are at historic highs. We believe that re-entry programs and educational opportunities and health care and restorative justice programs and mentoring and a whole host of other opportunities need to be created and rebuilt in prisons to encourage and support rehabilitation. Many of us support criminal justice reform and abhor human rights violations (as we are, again, victims of them ourselves – we know as few others do the depth of those violations). We have heard that almost 2/3 of the US prison population is behind bars for non- violent and drug related offenses. We question those who want to begin sentence reduction reforms with the “worst of the worst”, instead of with the vast majority of non-violent offenders. Restorative Justice is an approach that includes all stakeholders at the table in a conversation about the problems of the situation. All must recognize the realities that brought us here, and support each other in trying to make right what can be made right, transform that which is permanently and irreplaceably destroyed, and coming together about what we all do in the wake of these unmitigated tragedies. We can all come together on a focus on prevention of further acts of violence and murder by teens. All we ask in the face of these horrific crimes is that you respond to the loved ones of the murder victims with your compassion and, if you are willing, your tangible efforts to be part of their support networks. Please don’t hestitate to contact us if you are willing to be supportive of a family who have been victimized by a violent teen. We have many in need. Reporter outraged over Psychologist’s argument that a rich kid cannot be held accountable for people he killed because he had “affluenza” – parents who spoiled him. Victims families report being re-traumatized by the flurry of legal and legislative activity around the nation following the Miller Supreme Court ruling, as we feared. Join victims’ families in discussion on our Facebook page. California has already begun re-sentencing teen killers. We note that these appeals by offenders for shorter sentences will often fail as many courts are affirming that the Miller case should NOT be applied retroactively and even where it is being applied retroactively, many offenders who do win re-sentencing are still receiving (and will often be serving) life sentences. Appeals to reduce prison sentences for these crimes even include the D.C. Sniper, worst teen mass murderer in USA, who is challenging his life sentences despite his former statements that he feels “like scum” for what he did. And an infamous school-shooter loses his bid for early release. 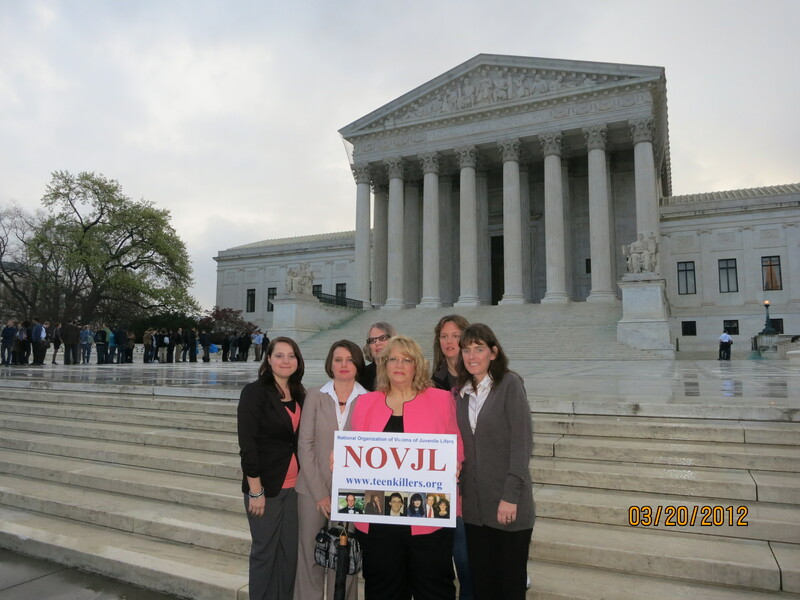 NOVJM does not support the incarceration or over-sentencing of the innocent or minimally culpable offenders. NOVJM does support the careful use of risk assessment tools and other good data on a case by case basis to identify which more dangerous younger offenders should be tried as adults. Citizen’s Resource compiles valuable scientific information on psychopathology, how to best prevent violence, and evaluate offender sentencing. Many NOVJM victims were murdered by teenage psychopaths. – Oklahoma teens kill Australian student “for the fun of it”, so horrific even the President of the United States denounces it. Families involved agonize. – teens kill elderly World War II hero veteran. – shocking story from West Virginia of likely psychopaths killing a classmate. – teen killer found decades later teaching college under assumed name. – 17 year old convicted of murdering infant just because the child’s mother had no money when he was robbing her. – Arizona Teen brags about killings on social media. – 14 year old charged in murder of teacher. This chart published in the New York times uses statistics that may not be accurate. They rely on Human Rights Watch estimates which have already shown to be faulty, and that overestimate the numbers of these cases. For example, they say nationally there are over 2500 of these cases, but their own count and a count we monitored directly to the Heritage Foundation by direct responses from states’ Attorneys General shows only around 1300 cases. These numbers were confirmed by Amnesty International, from the other end of the political spectrum. And for example in Illinois where they cite 103 cases, in fact 17 is the legal adult age and there are only 50 cases or so 16 and under. Also even of the 103 names, when asked to produce a list of the offenders in Illinois, they could only produce 60 names. So while we question their figures, we still share this information as a point for discussion.